My horse is tired after long hours of thrusting through the wide marsh of the cold north, near the borders of our great Roman Empire. I am, by all means, tired myself and have consumed every last drop of water and food I carried with me. My mission though is of the outmost importance. I have to cross the path of the green river and reach our small camp we’ve settled near the gray forest, come heaven or high water. I have to warn you, my brothers, about the oncoming army of the Visigoths, marching with fast pace towards our little but important reach. We have, at the expense of our own lives, to defend it. Under no circumstance should we allow them to cross the bridge and if that means destroying it, so be it. We are the warriors, we are the pathfinders, we are the voices of steel in the night. For this I am sure. But, while I write with such haste, I have to present the recent events that led to this unexpected turn into our war. I saw, with great sorrow and pain in my heart, my woodland village, the only home I've ever known, being consumed by flames. They came from the north with iron and fire, as the late October moon rose through the fog. And I, an Alabaster witness to the rite, saw thirteen hooded figures bowing deep within the woods and gathering for the sacrifice, as I was standing there, watching with the eyes of a spy, with fear and awe, with great anticipation and hope, the late October sky streaking with blood and fire like a yawning gateway to the underworld. With agony and terror in my soul, I saw on the altar a young girl rising with cold black haunted eyes. This was a blood sacrifice upon the altar stone. It was an ancient rite upon the pentagram and for this, my brothers, I write to you. Hammers, chains, and spikes, no fear or weakness is the path we chose. Always true to the code, we stand beside each other. Raise your fists beside our brothers and stand eternally proud. We are the true and the brave and forever one with the sound. We are the Iron Brotherhood and we will come from the south with cold and hateful vengeance. I surely hope, if I don’t make it there, that this message will somehow reach your eyes and inform you about the black darkened future coming towards us. I surely hope, as a fellow warrior, a friend and a brother, that I will be there, standing beside you, reclaiming the fire in our minds and raising our fists against the sky. 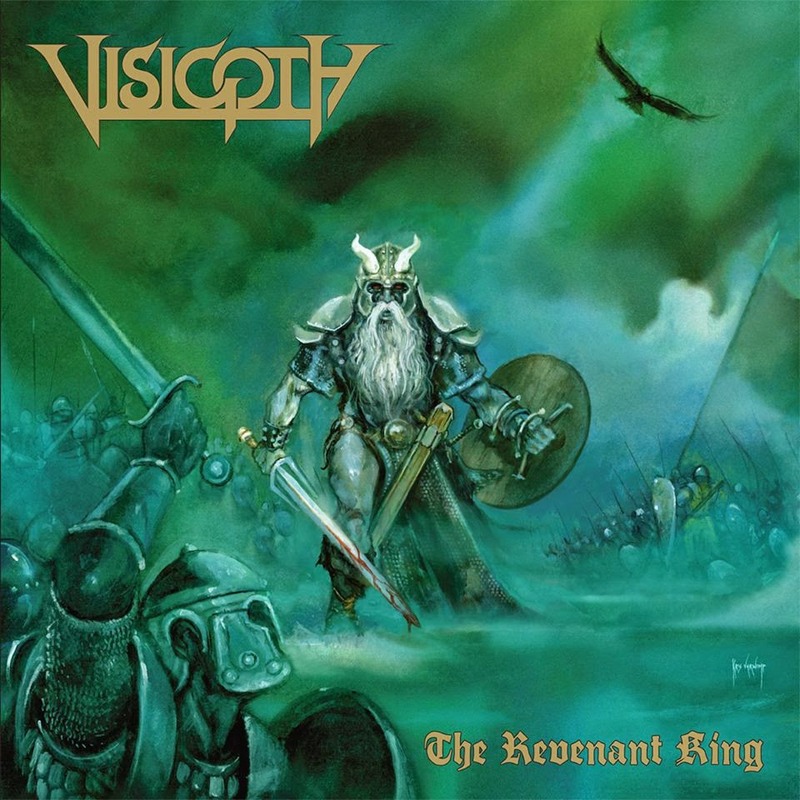 The heavy metal march of the army of Visigoth’s is coming and we should be prepared. With valor we shall fight, with pride we shall fall. Hail to you my brothers. I hear them in the empty morning sky, coming closer with every single breath. Hail to you my brothers. I have a long road ahead. Αναρτήθηκε από Unknown στις 1:26 π.μ.